Always Our Goal: Fast Results Without Long Programs! When it comes to making a complete recovery from an injury or when undergoing chronic pain management in Lone Tree, CO, you deserve treatment from a team that’s committed to your progress. Center for Spine provides just that by implementing a multidisciplinary approach as needed. 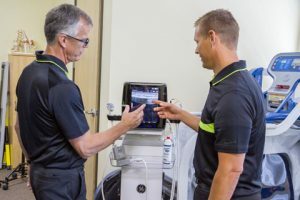 As longtime sport medicine and rehabilitation specialists, we understand that there’s no “one size fits all” treatment for back, neck, and spine problems. That’s why we utilize a variety of different tools and techniques, depending on each patient’s needs. For example, though we specialize in chiropractic manipulations, not every person we treat may benefit from such treatment. From headache treatments to back and neck injury adjustments, Center for Spine is your best bet for a personalized recovery plan. Reach out to our staff now to learn what we can do to increase your quality of life in a way that makes sense for your body and lifestyle. Start your recovery story today. Schedule an appointment at our center — you’ll meet with a doctor that specializes in chiropractic and discuss your concerns regarding your injury or pain. Then, you’ll explore treatment options based on your input. Our goal is to help you progress at your own pace and reclaim your life. Contact us today to discuss your pain management options. We serve clients in Lone Tree, Colorado, and nearby areas.